Great location and very clean facilty.. very easy transaction with office manager Stella whi was very helpful to wife and I. Had a great experience. It was fast and easy. Great place to store your things. Management awesome. 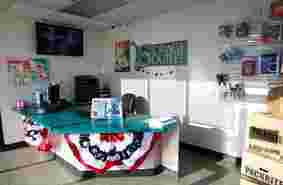 Great location and the staff is always very helpful when ever I have had questions. Its always clean and kept up. I defiantly trust my belonging being stored at the facility. Storage Outlet is great A really clean and impressively well-kept facility. Stella (the Manager) is very responsive and helpful. Nice and clean. Stella is always helpful. Very secure. This facility is very clean, all units are on ground level so it's very easy access and convenient. Outstanding customer service! The location and service is good, units are very clean and seal tight, gate access hours are good 5am to 9pm.Office manager Stella is very nice and helpful. Not much difference in storage. Just keep it safe and clean. 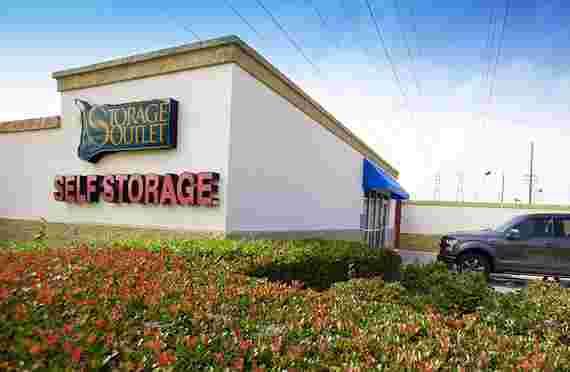 Storage Outlet is good as is A-1. It is in a safe place with cool ocean breezes. Pacific Ocean is two blocks away. Stella, the manager, is a responsible person. The location and service was good. We even extended our gate access hours. Unfortunately 2 of 3 units we rented seemed to promote substantial mildew growth I assume from a lack of good air flow and sun. One of our units even had black surface mold on the entire ceiling of unit. We used to wonder why we would see entire units emptied just sitting outside in the sun. Now we know. To burn off the mildew smell. Most of our stuff is ruined from sitting in there for 3 years. We used the Damprid moisture removers but they would fill up with water in weeks. Renters beware. Damaged the front bumper when entering and exiting the storage container. At least it prevents the tow truck threat and vandalism and parking citations that are bound to happen at certain residencies. If you’ve been to Huntington Beach recently, you’ll have a hard time imagining that Beach Boulevard (the main drag) used to be a cattle route. Today it’s more of a surfer route and cattle and oil lands have been developed into family friendly suburbs. Thus, demand for self storage has risen. 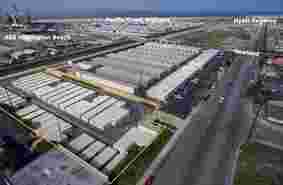 Luckily, developers were happy to oblige, keeping Huntington Beach self storage affordable. There are plenty of facilities within Surf City proper, or you can easily travel to neighboring Costa Mesa, Westminster, or Fountain Valley if you find better Hunting Beach self storage deals. Regardless, you’ll be able to find units for under $100. As a beach town (it borders the Pacific Ocean), Huntington Beach storage facilities have moderate temperatures. Generally this negates the need for climate controlled storage units in Huntington Beach. However, some renters with especially valuable or heat sensitive items still choose to use climate controlled units. 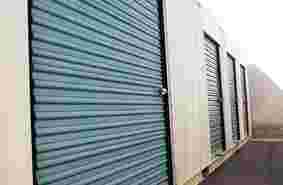 One thing to consider is whether your storage contents are appropriate for containerized self storage. 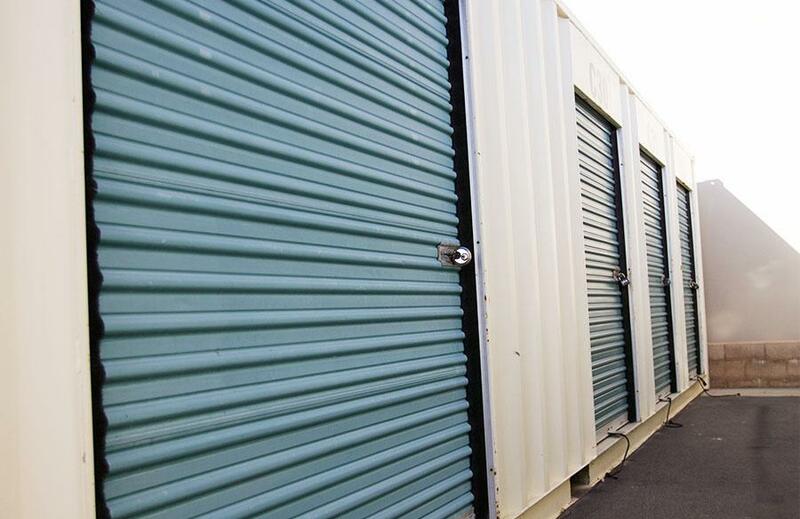 Containerized storage units are generally preferable since they are air-tight, keeping your prized possessions and family heirlooms pristine and protected. Shipping containers are the cleanest storage units possible. However, when extremely close to the ocean, such units can get condensation from time to time. Although it is rare, it’s important to consider if you are storing valuable wood or art. 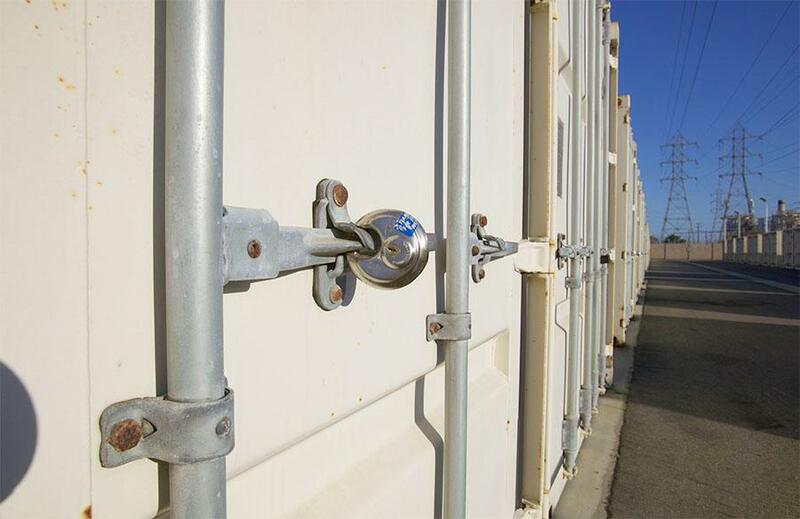 If you still prefer containerized units because of their cleanliness and security, then be sure to properly pack your unit to keep moisture sensitive items dry. Newport Beach is the Southern neighbor of Huntington Beach. Boasting some of the highest family incomes and property values in the nation, Newport Beach self storage is obviously more expensive than Huntington Beach self storage. Therefore many Newport residents (both rich and poor) prefer affordable Huntington Beach self storage deals and the short commute along Pacific Coast Highway is never a bother. Huntington also serves the less dense and populous Seal Beach, as well as Sunset Beach. Of course land is less expensive the farther you move inland from the coast, so if you’re looking for the cheapest self storage then head toward the 405 Freeway! Personal self storage for individuals and families, as well as commercial storage are the primary uses for self storage in Huntington Beach. Typical household items are stored, as well as surfboards, paddleboards, kayaks and beach gear of course. Bird watching and photography are also popular in the Bolsa Chica Ecological Reserve, so we imagine many storage units also contain binoculars, camera equipment, scopes and tripods. Climate controlled units would be appropriate for such gear. Orange County does not have the military presence that San Diego does, but Huntington Beach is near the Naval Weapons Station Seal Beach and the Joint Forces Training Base in Los Alamitos. Both locations are a short drive from Huntington Beach. Although there are not many people working at either location, Huntington Beach self storage would be feasible for such military members. Most Huntington Beach storage facilities would gladly supply a military storage discount. Military discounts make affordable Huntington Beach self storage an even greater deal. Servicemen and women should also take advantage of all the self storage tips available online. Packing a storage unit for example, is much like a jigsaw puzzle, you really want to maximize the space. Efficient use of space means you’re renting a 5x5 in Huntington Beach rather than a 5x10 (or a 5x10 instead of a 10x10 – you get the picture!). However, there’s more to consider before you even organize your Huntington Beach storage unit. If your military career embedded efficiency and precision deep within your character, then you’ll appreciate these self storage tips. As Public Storage notes, it’s important to choose the right size box. You want boxes to be a manageable weight and size, however a large box is the equivalent of three to four small or medium boxes. Public Storage goes on to recommend wardrobe boxes (a must if you buy from the high-end stores at South Coast Plaza or Fashion Island) as well as wrapping your furniture and condensing items as much as possible so they take up less space. For example, if you have a down comforter, it takes up a lot of space unless you wrap it tightly and then somehow secure it in its smaller size. Surf City is not a college town per se (although they certainly like a good party), but there are many nearby colleges, and many students in need of self storage. Huntington Beach has an excellent community college, Golden West, which also has a great nursing school program. Neighboring Costa Mesa’s junior college is Orange Coast College (commonly referred to as OCC) while Coastline Community College resides in Fountain Valley. Four year universities are also close by. University of California Irvine (UCI) is perhaps the most well known. Costa Mesa’s private school is Vanguard University of Southern California while Orange has Chapman University, which also has a law school. You get the picture, there are a lot of students in need of self storage deals in Huntington Beach. Okay, lets be honest, students are after cheap self storage. For university students the cheaper the better is generally the rule of thumb, although we encourage students to consider the quality of storage facility they select. Security, cleanliness, and amenities are more important than students may think. This is especially true since college students may be living in a dorm, and therefore may not have home owners or renters insurance to cover their personal property in a storage unit. Therefore a storage facility in a safe neighborhood and with 24 hour security cameras and additional security measures is a good idea. Students may also want to consider self storage insurance or a renter’s protection plan. Generally such plans cost a minimal amount each month, and cover two or three million in personal property damage. As with all contracts, read the fine print to see what’s covered and what isn’t covered. If you live at home, see if your storage unit is covered under your parents’ home owners or renters insurance. Surf City is a popular destination for RVs. You can RV camp year round at Bolsa Chica State Beach. Basically you’re setting up your RV in the parking lot for Huntington Beach. There’s also year round RV camping at the Huntington By the Sea RV Resort or you can use the Sunset Vista RV Campground which only closes during the summer months. If you supplement your RV sleeping space with a tent, then you’ll have to go south to Dana Point’s Doheny State Beach. If you live elsewhere, but primarily choose to RV in Huntington Beach, then consider RV storage in Huntington Beach. Whether this makes economic sense depends on your individual circumstances. If you live in Bel Air, RV storage in Huntington Beach will be much more affordable. Moreover, driving to Huntington and picking up your RV there will save you gas money as well. On the other hand, if you live somewhere where there are better RV deals, then it only makes sense to store your RV in Huntington Beach if you’ll save enough on fuel to pay for the additional RV storage cost. Wherever you store you RV, be sure to consider gate access hours if you plan to hit the road early! If you live in Surf City but RV across the nation (or even into Mexico or Canada) then affordable Huntington Beach RV Storage is your best bet. 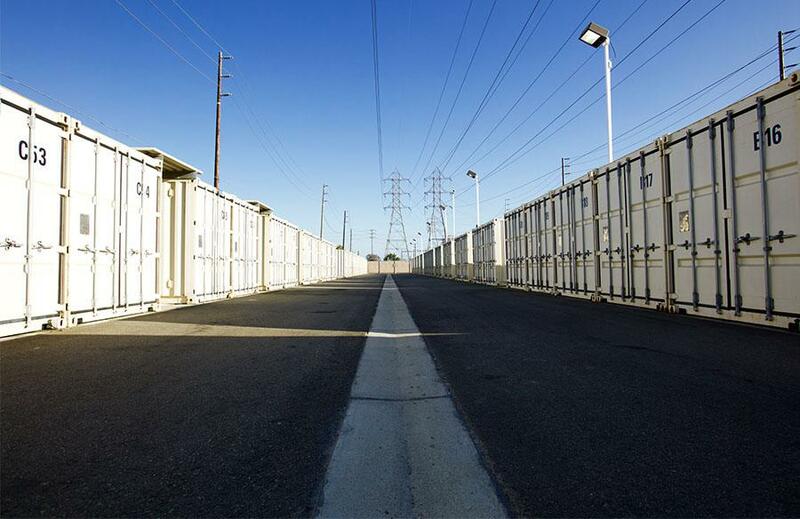 There are many Huntington Beach self storage facilities, and you can filter your results for locations with RV storage. Safe travels! Huntington Beach has high demand for boat storage given its location along the Pacific Ocean. People store jet skis, electrical duffy boats, power boats and sailboats. In Newport Beach, dock slips can easily cost over $50 per foot, per month. For a 40 foot boat that’s $2,000 a month or $24,000 a year. Thus Newport Beach boat owners prefer boat storage in Huntington Beach. Dry boat storage is more affordable than docking at a slip in Newport Harbor or Huntington Harbor and actually has other benefits as well. Boat owners know how corrosive salty ocean water is and how much it can damage their boats. Depending on the individual boat (and the hull’s paint) a boat docked in salt water may need to be washed as often as every few days to remove barnacles that attach to a boat’s hull. This could involve removing the boat from the water. A more thorough cleaning is required weekly or monthly. Regardless, boats docked in Newport Harbor or Huntington Harbor require a massive amount of boat maintenance. On the other hand, if you use dry boat storage, you primarily only need to wash your boat after each use. When storing your boat in Huntington Beach it’s a good idea to have a boat cover to keep your boat clean and protected after each wash. Another benefit of boat storage in Huntington Beach is that marinas or boat docks generally do not offer covered storage. Boat storage facilities in Huntington Beach on the other hand often offer covered boat storage. The downside to dry boat storage is that you have to trailer and launch your boat each time. However, given the large investment you have in your boat, the additional time is likely well worth it. Not only do you protect your boat, but you also save thousands of dollars each year (or ever per month!) since storing at a Huntington Beach storage facility with boat storage is much cheaper than docking your boat in the water.